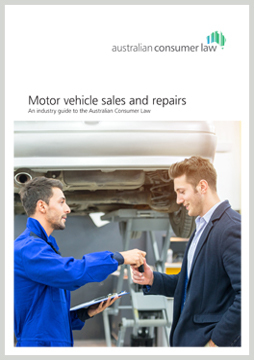 This guide provides information on the ACL for the motor vehicle sales and repair industries – including motorcycles. It covers issues about which industry bodies have requested more detailed guidance and which consumers have frequently reported to national, state and territory consumer protection agencies. vehicle manufacturers, distributors and importers.